At Gun Digest the Magazine, we know guns so you know guns. Whatever part of the firearms world you’re interested in, we cover it. Rifles, shotguns, handguns, old guns, new guns, black guns, collectible guns, and more. Read about all of them in 12 monthly issues, plus 4 big special issues on new shooting gear, concealed carry, long-range shooting and much, much more. We Know Guns So You Know Guns. Subscribe Now and get all 16 big issues! We will continue to renew your subscription to Gun Digest, the Magazine, without interruption, unless you tell us to stop. At the end of your subscription you will receive notice that your credit card will be charged $24.99 to continue. You may cancel at any time during your subscription and receive a full refund on all un-mailed issues by visiting the Online Customer Service Center. If there is ever a problem with the card you provide, we will simply bill you instead. 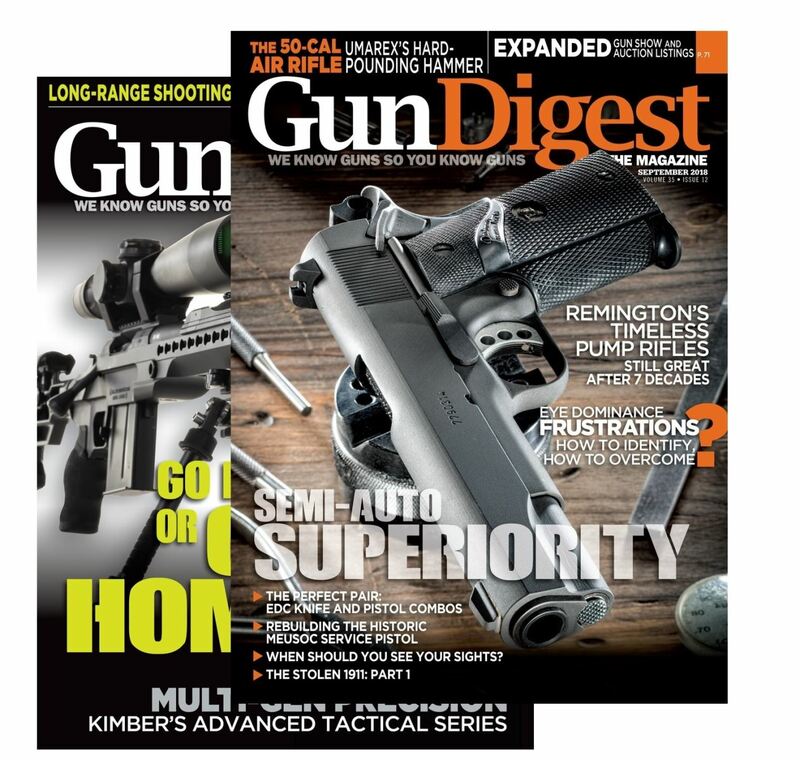 Gun Digest is published 16 times per year. Please allow 4-8 weeks for the delivery of your first issue. If you are not completely satisfied, you may cancel for a full refund of the unserved portion of your subscription.